The Okavango Delta is one of the few places in Botswana where you can see the Big Five since Rhino have been reintroduced into the region. The Botswana Rhino Reintroduction Project has reintroduced both White and Black Rhino into the Okavango Delta. 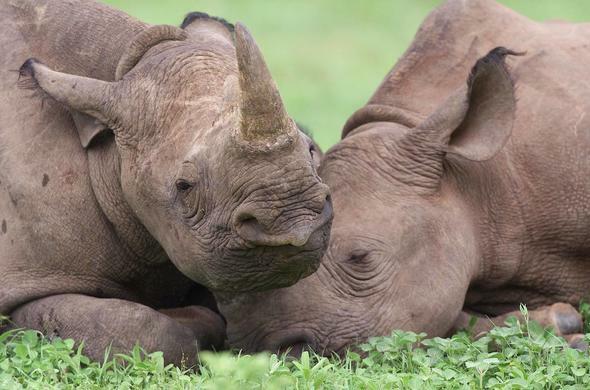 Rhinos used to be abundant in the region but with the pressures of hunting and poaching for their horn, their numbers declined dramatically over the last century. 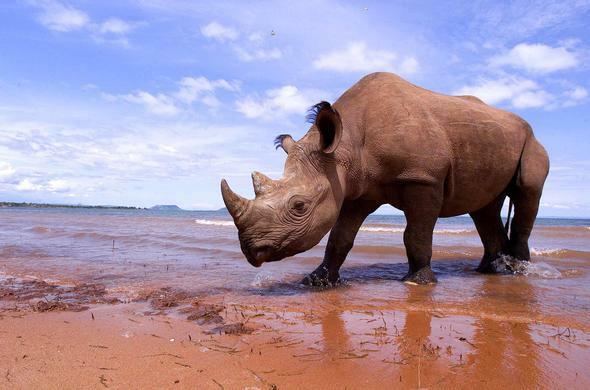 Rhino horn is considered to have healing properties in Eastern medicine, and these noble creatures which have been around since the time of the Dinosaurs, have been nearly hunted to extinction. In fact the Black Rhino was wiped out in Botswana. In 1992 the Black Rhino was considered extinct in Botswana while there were just 19 White Rhino left.The Department of Wildlife along with the Botswana Defence force created one of the world's finest anti-poaching units and White Rhino were reintroduced into the Okavango. There are now only about 40 Rhino in the Delta region. Periodically some of them still get poached for their valuable horn; however the reintroduced Rhino are breeding and doing well. Black Rhino were also re released into the Okavango Delta in 2003 and more have been introduced in an exchange programme with South Africa where they swap Rhino for Sable Antelope. These Black Rhino are more difficult to spot as there are less of them. 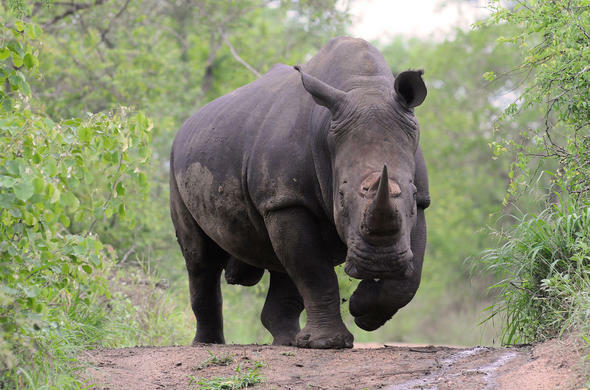 If you are staying at one of the camps on Chief's Island for a few days you are just about guaranteed a sighting of Rhino - a rare treat.You are most likely to see Rhino in the Moremi Game Reserve in the sparse Mopane woodlands and open savannahs in the eastern regions of the reserve. Poaching continues to be a real threat and the animals are continually monitored by one of the world's best anti-poaching units.